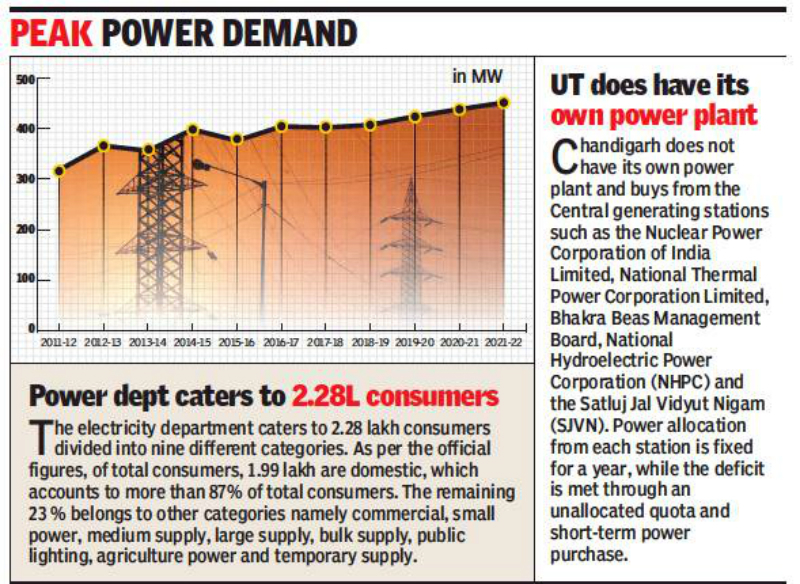 The UT administration has sought report from the electricity department for arrangements to meet the demand of power supply in the peak summer season. A senior UT official said during the recent review meeting, the senior officials had sought report from the electricity department. Though, the electricity department officials had briefed senior officials about their plans, but the detailed report was sought from the department.